"Convergence of Blockchain & AI-The Next Wave Technology…"
"Major eCommerce Trends That Will Dominate 2018 http://www.clavax.com/blog/major-ecommerce-trends-that-will-dominate-2018/"
"Thank you for this valuable information"
Clavax Technologies is among the fastest web & mobile app company that work towards turning incredible ideas into reality. Headquartered in San Jose, California, we strive to deliver the state-of-art app solutions in the best innovative way possible. Our Customer First Approach has allowed us to be named among top mobility solutions providers in US. We have been named the best by the top review and rating companies such as GoodFirms and Clutch to name a few. Moreover, we have been honored to become certified partners with organizations like Kentico, MapR, and Hortonworks. We are always Live, Worldwide! A business that is not going mobile cannot go anywhere, which is why mobile apps have become an essential part of any organization. As per the statistics recorded on March 2017, there are more than 2.8 million Android apps in Google Play & 2.2 million iOS apps in Apple’s App Store. Among the various tools we need for creating a new website, a right Content Management System is essential to manage the website effectively. 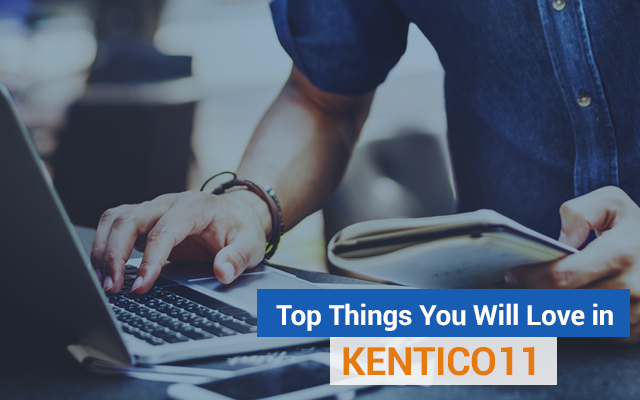 Kentico is one of the best CMS available in the market today and we all are excited about the release of its latest version, Kentico11.